“North Americans love snacking! A fact that will not change in the foreseeable future” according to the 2014 report by Packaged Facts. 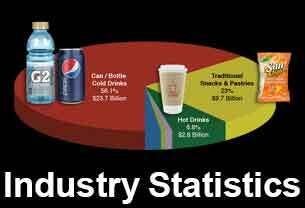 As children we are conditioned by having “snack time” in school, and as adults we have vending machines filled with a selection of cold drink and packaged snack food options in the workplace. Our love of snacking has grown to the point where nearly 50 percent of eating occasions today are snacks and the market is predicted to reach $77 billion by 2015. Besides consumer tastes and health considerations, some other factors driving the snack industry include: busy lifestyles that encourage on the go eating, a growing tendency with regards to younger people replacing meals with several smaller snacks. The boundaries between meals and snacks are becoming even more blurred creating consumer consumption habits that will resonate for generations to come. As today’s children will pass these lifestyle traits on to their children, it ensures that snacking will remain a big part of North American life. As consumers seek ways to achieve a healthier lifestyle, snack foods that are marketed as “better for you” will remain popular. 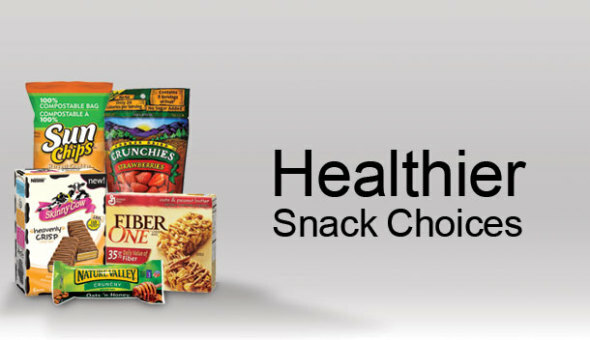 As supermarkets increase their healthy product choices, more traditional companies are adding healthier cookies, crackers, and cereal & granola bars to their menu too, as consumers continue to choose healthier snack and cold (canned or bottled) soft drinks over traditional snack products. Leading snack food vending machine companies like the Compact Refreshment Centre are realizing that they must highlight attributes such as vitamins, minerals, fiber content and lower sodium to both educate consumers and take advantage of demand for such products. At the same time, with the ever growing abundance of “better for you” snack products, marketers must also offer secondary appeals to attract consumers, such as unique flavors or ingredient blends, with great taste combined. San Diego. California Compact Refreshment Centre Area Operators John and Michelle have been using their CRC vending machines to create a foundation of family success by working together as a unit and teaching their three and a half year old son John Robert some of the most valuable lessons he will ever learn. 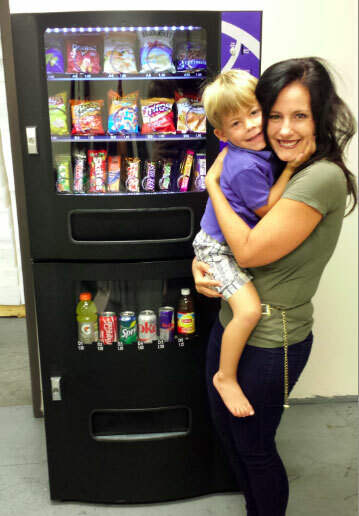 By building a family business (Little Man Refreshments), around the Compact Refreshment Centre has allowed them to achieve and support a lifestyle they love as well as earn a full time income, working just part time hours through a common entrepreneurial money making project all together as a family. Little JR gets to learn much needed life skills he would not be taught in school, at an age that is most important in shaping who he will become as a young man and then an adult. Working with him only three hours a week, gives John and Michelle the opportunity to impart their values in real world situations. It starts with snacks and drinks, what kid isn’t interested in that? Helping to keep the machines full of vending items, counting dollars and cents, cleaning and maintaining the machines and conversing with people where the vending machine is located. He may not realize it now but JR is saving for his education and retirement. A small percentage of what is made goes towards his future, teaching him about setting goals, working with others and most importantly that goals can be achieved. They started off with four Compact Refreshment Centre vending machines and have recently added a fifth with the goal of having 10 located within the next year. With the success of the business and the positive influence on the whole family, John and Michelle decided that they wanted to share their story so others they can enjoy their family life just as much as they do. They call it Familypreneuring, and their mission is to help thousands of families create a life and lifestyle that they love, giving families a way to make an additional, full time income, working just part time hours, together as a family. It starts by guiding families to create synergy by designing their own mission statement, to get clear on each member’s values, and their goals, bringing out the gifts, talents and strengths of each family member. 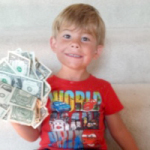 Familypreneuring creates a deeper connection, helping to bond the family through a common entrepreneurial money making project. Teaching children involved, life skills they do not learn in school, at a developmental stage in life that is most important in shaping who they become. Families are the key source of love and support for all family members and John, Michelle and little JR are proof positive that the importance of the family working, playing and happily staying together, contributes to the greater good of our society and the world. Visit their website to start building a foundation of family success that will last you and your children a lifetime. Keeping your Compact Refreshment Centre full of fresh snacks and cold drinks isn’t difficult at all, but continually getting a good price and selection at your local grocery stores or Costco can sometimes be challenging. Although many of our Area Operators already know that using a wholesale distributor is a great way to consistently get the items they need, new operators may not be aware of these types of services. For our Canadian operators located in Calgary, Dartmouth, Montreal, Toronto and Vancouver, we encourage you to check out Vending Products of Canada. Since 1988 they have been a leading Canadian Wholesale Cash and Carry/Distributor and are a one-stop shop for finding all the merchandise you require to fill your vending machine and keeping your accounts happy. 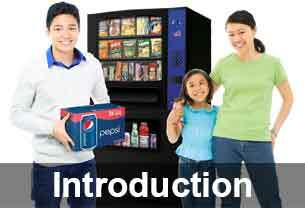 Vending Products of Canada also carry thousands of competitively priced brand name items, have convenient customer friendly warehouse locations across the country, “Best Before” dates on products, and delivery solutions directly to your location. 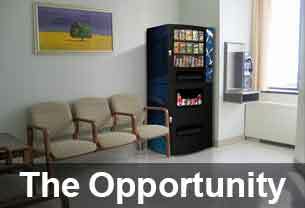 You can visit their website to learn more about accessing their services and selection of products for your business!